The birth of blockchain spawned a movement which is set to disrupt the entire tech industry. 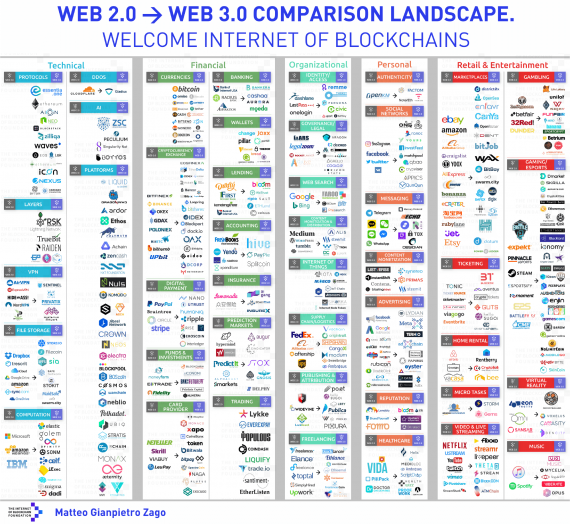 Blockchain and crypto enthusiasts are calling it the Web 3.0 and it’s looking to make all traditional business models defunct. This is because, in short, the technology will facilitate the decentralization of the World Wide Web, thereby equalizing control and ownership back from the grasp of profit hungry corporations. The Web 3.0 ecosystem already consists of over 3000 variegated crypto coins and over 900 decentralized apps or DApps (a single DApp can mean a team of up to 50 members, each dedicated to disrupting a specific industry). And even though the industry is still in its infancy, the market cap has already exceeded 800 billion. These numbers supply damning evidence this movement is indeed a revolution in the works. And not unlike France in the 18th century, this revolution was born out of the frustration of inequality between millions of people and the few in power. And justly so, the Web 2.0 provided a fertile ground for corporations to monopolize control and profits. The net giants are doing nothing other than consolidating control. Take internet.org for example, Mark Zuckerberg’s initiative to provide free access to the internet to deprived countries. The programmes intentions are rightly questioned as an obvious route whereby Facebook can control and discriminate access to the internet by any way they deem fit. Facebook’s CEO is spending big bucks to defend his interests, and he’s not the only one. Jeff Bezos’s acquisition of the Washington Post is the cheapest and most subtle political insurance Amazon can buy. The price tag of $250 million beats a potential $700 billion ‘Antitrust’ case brought against the company. It all goes to prove that a more liberated, egalitarian and fraternal internet would be a cause for concern for some monarchical corporations and their leaders. The cryptocurrency exchange Mt. Gox once again showed why housing data in a centralized manner is a bad idea, with over $460 million worth of bitcoin raided by hackers in 2014. Without a central governing authority, no one can adjust or float market rates and exchange values. There’s no boss in charge with conflicted interests, and there’s no one with more access to user data than anyone else. 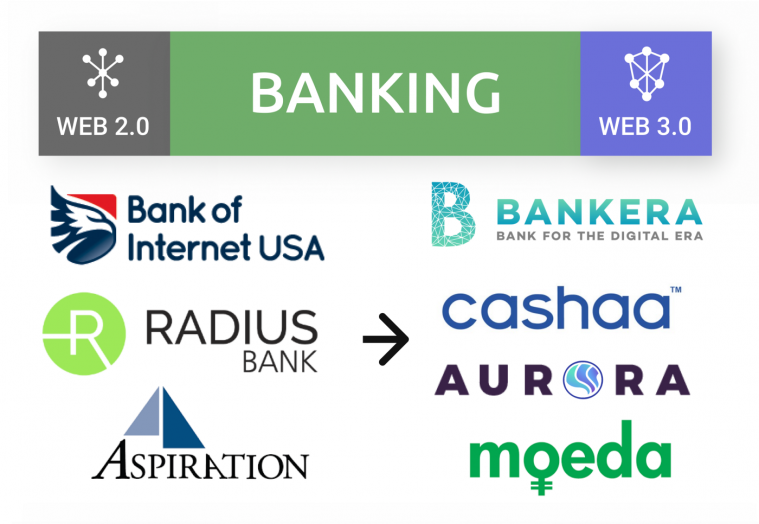 If we were to sum up the Web 3.0 in a word, it could be disintermediation. We are now seeing decentralized exchanges like Bitfinex and EOSfinex fill in the gap of trust by removing the ‘central point of failure’ for anyone to manipulate. 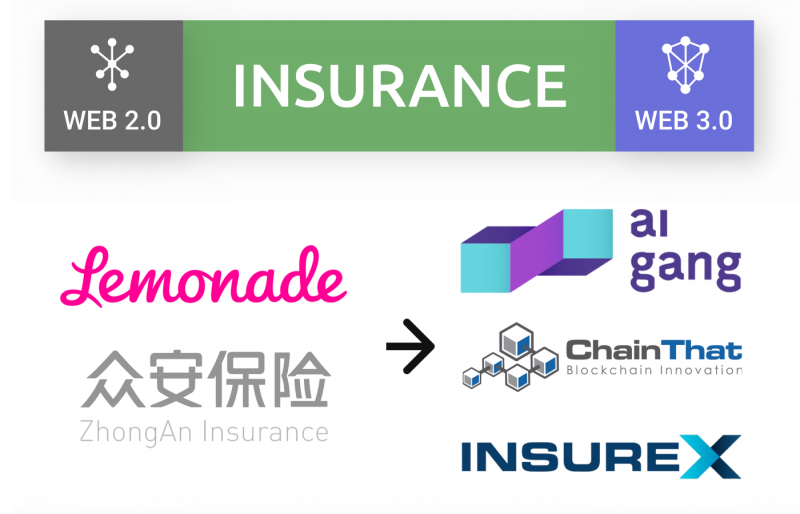 Immutability allows consumers to interact directly and costly financial process can be automated via smart contracts. With the ability to perform micro and macro payments, through fast clearing times and much cheaper fees, crypto currencies and exchanges will win in the long term. 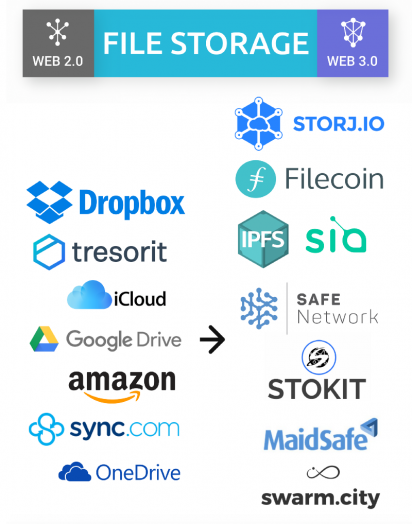 Now DApps like Storj, Filecoinand Maidsafe are leading the way in decentralized storage systems. All pushing to reduce costs and improve security with current storage providers. They run on the premise of trading unused storage capacity across desktops, servers and storage devices in exchange for tokens on their platforms. The nodes that store data will receive a reward in return and will perpetuate the framework. It will cost a fraction of what centralized storage platforms are offering so these platforms will undoubtedly win consumers in the long term, businesses will inevitably choose cheaper methods with improved security and privacy. If you live in Turkey or China, you are accustomed to explicit censorship and restrictive content. With Erdogan blocking twitter and Xi Jingpin banning anyone comparing him to Winnie the Pooh, there is no escape. And the Western world is not exempt either. Google released a code last year which scanned every private Google doc for violations and restricted access if they deemed necessary. The demand for free speech is universal, and in the current state of internet affairs, the imbalance of power means the internet can be manipulated and blocked at a whim to benefit any corporation or governmental agency. We are beginning to see decentralized social platforms like Steemit, Akasha and Statusfilling the privacy void. There cannot be lawsuits demanding access or restrictions to accounts without a central body, and the content remains in the hands of the user. Corruption, insider trading, greed; These terms have become synonymous with insurance and banking industries. We are required to blindly trust the financial system because there are no alternatives on offer. Decisions are made behind closed doors and consumers have no say. It’s not hard to see why these sectors top the bill on corporate collapses and scandals. With $182 billion worth of taxpayer bailouts, this current broken system affects everyone. The peer to peer industry has demonstrated how non-profit organizations can be sustainable long term. Take Mozilla or Wikipedia for example, they prove why centralized, profit-oriented governance is not necessary. But with the technology, we can go bigger. Blockchain provides an alternative where decentralized governance and trust is supplied through incorruptible smart contracts and cryptographic mathematics. The rules of the game are clear from the beginning. In 2005, YouTube (now owned by Google) popularized user generated content, representing a historic change in how we interact with the internet. But as time passed, and profit objectives were required to be met, slowly but surely we saw big changes. It’s considered free, but we do exchange our personal information (browsing/shopping habits) mostly unconsciously. All the while content generators only see a small percentage off the profit from advertising. Their advertising and censorship policies are vague, and many content generators argue that videos are inconsistently and unjustly demonetized. With 400 hours of content uploaded every minute, Google admitted that they “don’t always get it right”. So if the largest internet corporation in the world can’t handle it, then it would appear that centralized control doesn’t work out best for consumers. In terms of professional artists making their living of such streaming services, the 30% middleman fee cuts deep into those who are just paving their way. 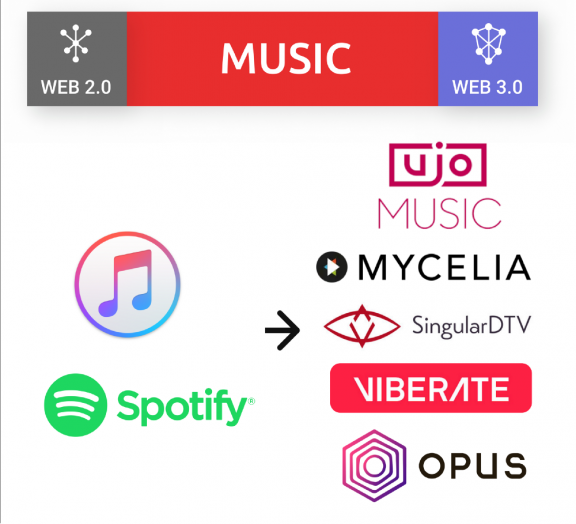 The decentralize web offers a better solution for streaming services where users will be the owners and beneficiaries of their content. The Web 3.0 will will make it possible to remove intermediaries and enable advertisers, viewers, and content creators to engage directly with one another. We can see decentralization is making tracks, but it’s applications and benefits to specific industries are still largely unknown in mainstream internet audiences. The ‘Internet of Blockchain’ foundation (IBF) aims to counter exactly that. The mission is to foster adoption and push the transition to the Web 3.0; a more user-centric web where we retain complete ownership of our data, identity and digital assets. The IBF is aware how the lack of accessibility is hindering widespread adoption, hence the support for Essentia.one, a decentralized framework working to tackle this issue. The decentralized framework will be the first to bring together the decentralized ecosystem and enable interoperability between multiple blockchains. Essentia has natively integrated DApps such as Akasha, Aragon and Storj, and will provide the first, user-friendly interface for anyone to access and manage their digital lives on the Web 3.0. So why are the net giants worried? Because the abuse of power and control can only be sustained for so long. Think of King Louis XVI and Marie Antoinette as they become apparent of the revolution underfoot. This time however, it’s not the people of Paris shouting liberté, égalité, fraternité, it’s the tech community, collectively working to facilitate the transition to a better world. Guinness World Record by creating the Most commented Item in the Web 2.0 history. President @ The Internet of Blockchains Foundation. Founder @ Essentia.one. What we need is a Facebook killer. Sapien would be is the Facebook killer ! What a great perspective Matteo, thank you for this article. You have included well-known coins with already working products I guess. If we dig deeper there are hidden coins which can pretend to enter some of technology branches presented in your article in the future. ECC coin is working on multi-chain platform with encrypted messaging and file storage. Another one Speedcash SCS has already got working blockchain messaging live feed and is going to implement secure and anonymous messenger over the Scash network with endpoint encryption and channels feature. What I know about web 2.0 & 3.0 is Web 2.0 uses the read-write web, blogs, web applications, rich media, viral media, tagging or Folksonomy while sharing content and focusing on communities. 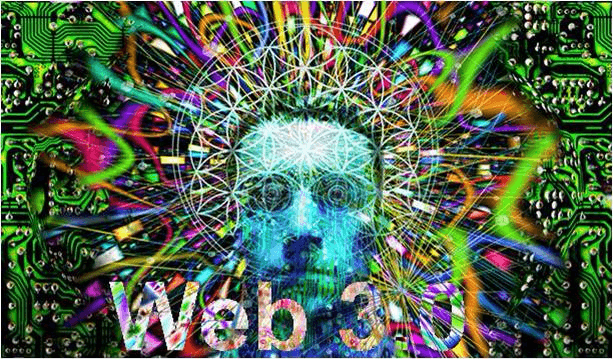 … Web 3.0 aims to highlight intelligence in an organic fashion through the interaction of people.